I just got these great cable organizing clips from Tek54. I am a really organized person and clutter drives me crazy (even if it’s necessary cables). 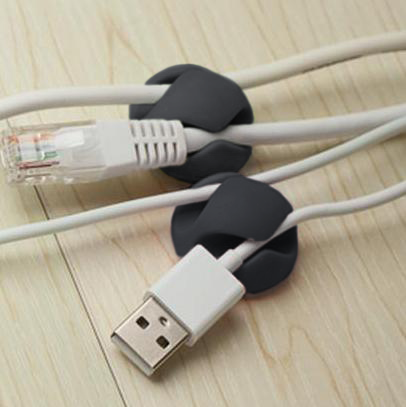 So I love these cable organizing clips from Tek54. They have adhesive on the back so you can put the clip where you need it on the wall or desk or on the baseboards. The adhesive holds well and stays where you stick it. Then simply slide the cables into the grooves on the clip to keep them organized and orderly. You can put up several clips along a line to direct the cords where you want them to go. You get a set of six so you can do a lot of organizing with them!! STRONG 3M ADHESIVE for Maximum hold on almost any surface. Simply peel, press, and use! You can purchase these clips from Amazon!